I've finally got a process down for printing Board-Off plans on a standard A4 laser printer at home. Its taken a while since trying rescale the charts to print from excel but now its a bit more stable. Its a 3 step process and uses 4 bits of software (freeware). Sounds a bit involved but the process is quick even if getting all the software is a bit tedious. i) Board-Off design tool - get the latest version from this blog. 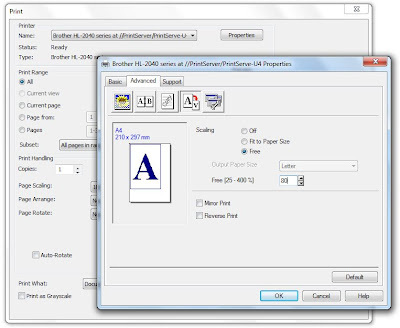 iii) CutePDF - a free tool that creates a virtual printer whose output is a pdf file. Use it just like a normal printer only it saves pdfs. iii) Abode Acrobate Reader X (free version) - for splitting the 1:1 scale plan into A4 pages. i) Export you design and rocker/concave jigs as .dxf file from Board-Off. iii) In A9CAD select print and configure the options highlighted below to the settings shown. ﻿ iv) save the pdf to a new folder for this board. 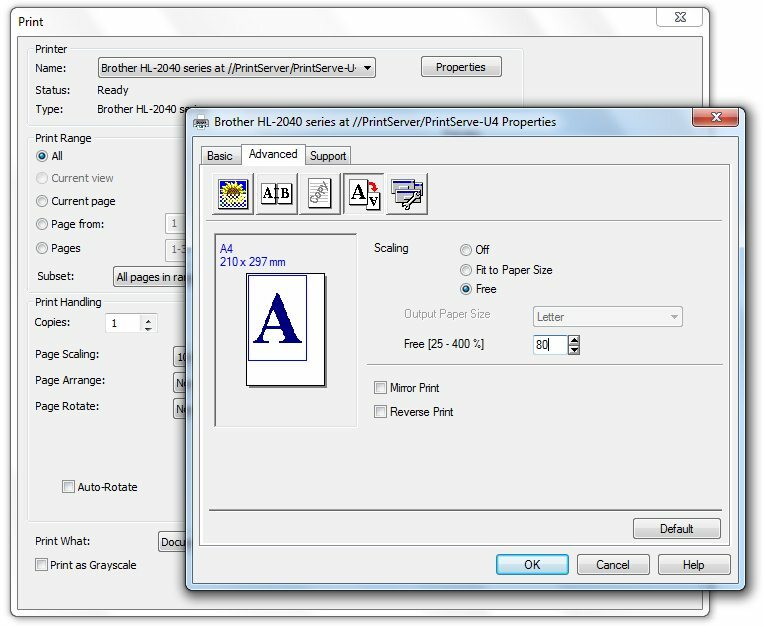 v) Open the pdf doc in Abode Acroba Reader X.
vi) Click on file->print and again select 'cutepdf' as the printer. c) check 'cut marks' and 'labels' and be sure to say yes when it asks if you want the comments printed. viii) click print to save it as a pdf with the 1:1 scale pdf split into A4 pages. So, at this point you have a pdf file that contains the 1:1 scale plan split into around 28 A4 pages (many of which are blank) but the plan has been scaled up to 125% of the original size because of item (b) in the previous steps. The reason for doing this is that the pages produced by tiling the oversized image include crop marks that show you where to cu tthe pages so that you can stick them together to get your full size plan. However, these crop marks appear in the margins of the page and so will not normally be printed. 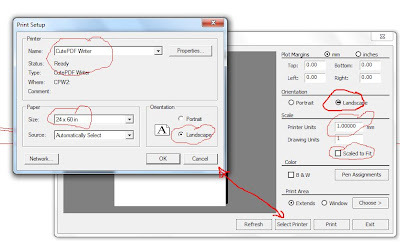 To ensure that crop marks are visible you must reduce the page size so that what would be in the margins will appear in the printable area of the page. This invovles scaling the page before you print it out. As we scaled it up by 125% you need to reduce it to 80% when you print it out (80% = 1/125%). You many need to look in the advance settings for 'free scaling' if the page scaling option in the basic settings doesn't have an 80% option. Below is an example of the 'free scaling' option in the Brother 2040 that we have at home. Free scaling printing option. USed becasue the page scaling on the basics tab only has 100% and 75% scaling option. ﻿ The printed document should then be the right size. I found that I needed use 81% reduction because of the scaling 'rounding' that I mentioned in my previous post.